Does Ontario have what it takes to become a global leader in water technology? The world is about to find out. Hot on the heels of the lauded Green Energy Act, Ontario’s new Water Opportunities and Water Conservation Act aims to secure a significant role for the province in the estimated US$400-billion global water industry. To bolster homegrown water technology development and export, the government has set aside up to $5 million over three years for the Water Technology Acceleration Project (Water TAP). “The emerging cleantech cluster in Ontario is a pretty critical piece of our economic future,” says Glen Murray, Minister of Research and Innovation. The ministry’s task will be to oversee WaterTAP, a non-crown corporation that will help make connections between entrepreneurs, academics, investors and customers. “WaterTAP is focused on trying to bring industry together, and identifying possibilities for partnerships,” says Murray. During the Act’s development stages, several groups (including Ecojustice, Great Lakes United, and Green Communities Canada) formed to launch the Ontario Water Conservation Alliance (OWCA), figuring that if the province wants to talk the talk, it must also walk the walk. 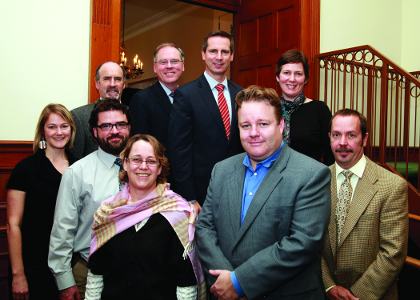 In April 2010, OWCA called for the provincial government to include a strong conservation and efficiency theme. Recognizing that the group’s platform made sense, the government amended the title of the proposed Act (originally referring to “opportunities” only) to include the word “conservation.” The Act now requires water efficiency standards for consumer products, water use goals, and standardized information about water use on bills. “We’re blessed with an amazing treasure in Ontario. We want to empower consumers to conserve more water,” says Wilkinson.